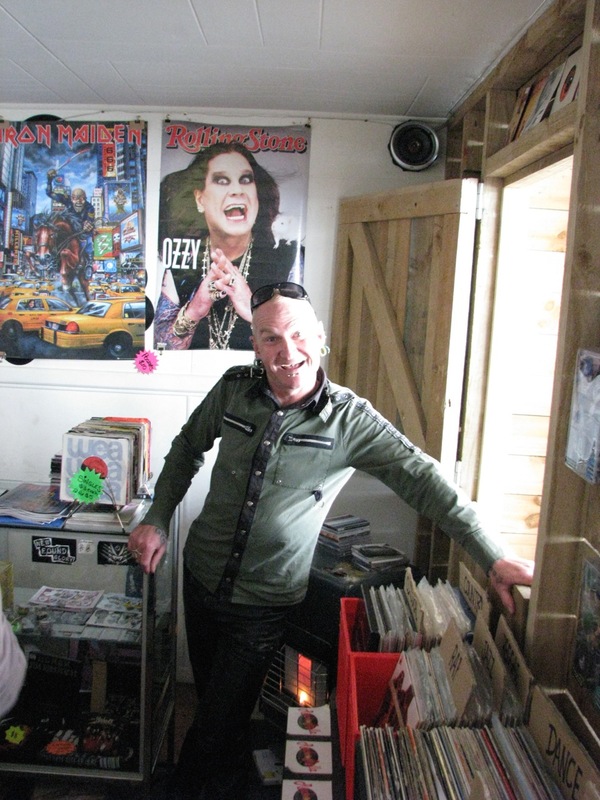 second hand records | Bored with a record shop. …when you see the original gig poster for the gig…… the one that spawned a controversial and non-sanctioned live album by the headlining band…the poster that’s casually tucked into the sleeve of said album…… don’t enthuse about how you were at the gig and how you’ve never laid eyes on a copy of the poster since…. ….because THAT is the last time you’ll ever see that poster. …so that I could take this screenshot. 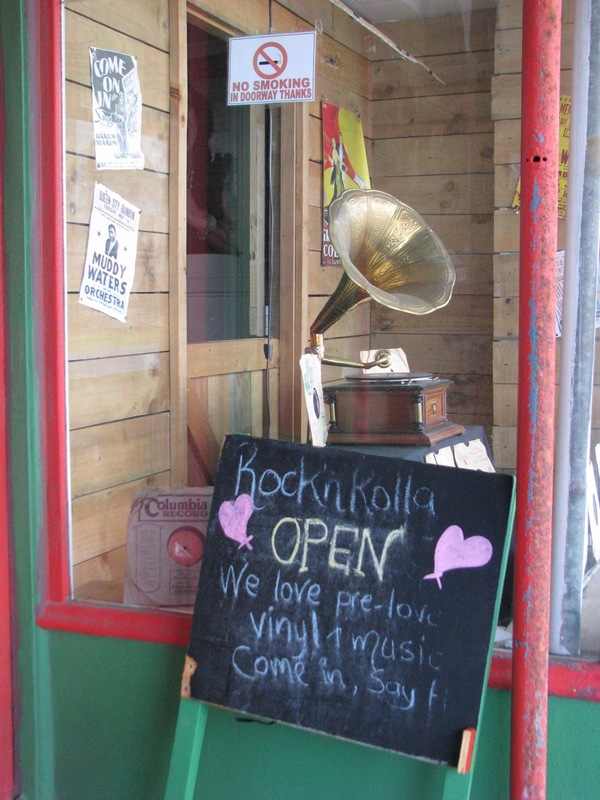 …a road trip to Invercargill would be incomplete without a visit to Rock ‘n’ Rolla records at 86 Spey Street…. …a small but interesting selection of second hand lps….as well as 7″, Cds & DVDs…. …proprietor, Jay, is a top bloke…. 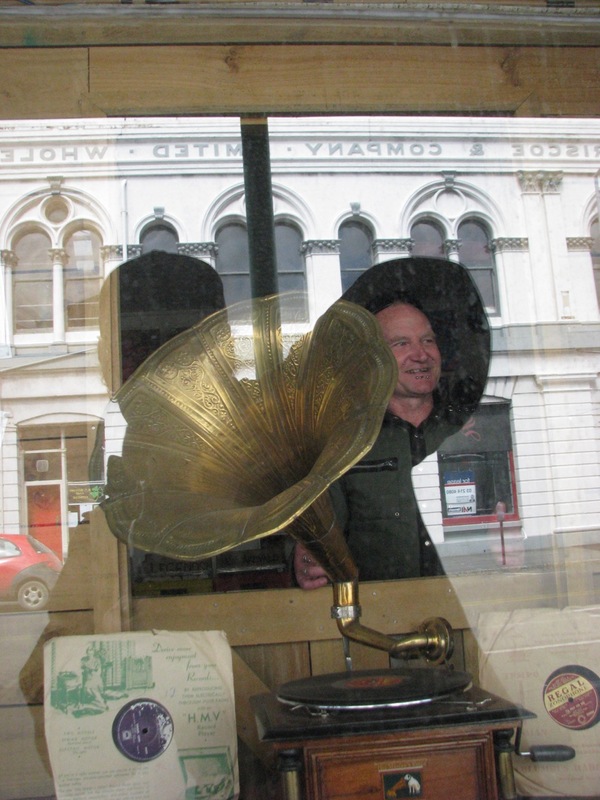 …with a hand cranked back up in the window…. …Jay laughs at your dependence on electrickery…..
…(facebook.com/RocknRollaNZ ….check for opening times, they can be a bit fluid!). …so this time I took a photo…. …the family resemblance is astounding…. 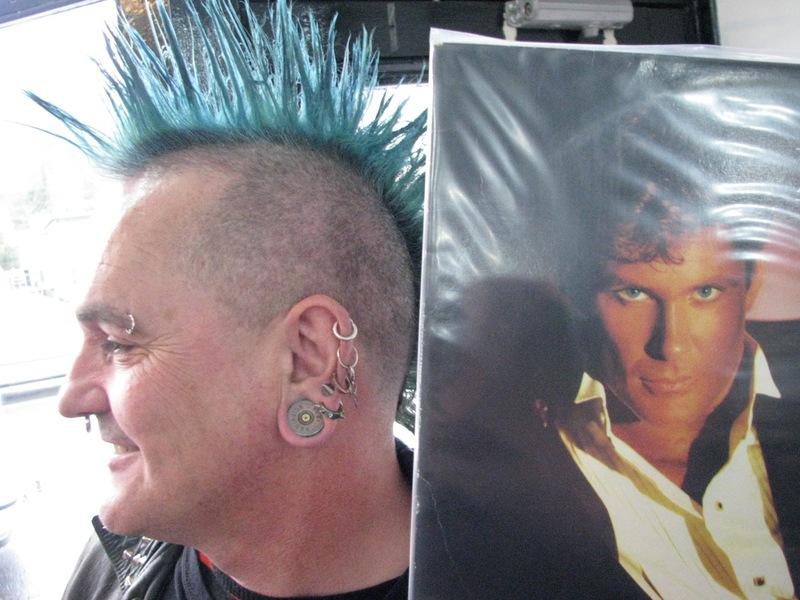 …the way the colour of David’s eyes is an exact match to the colour of George’s ‘hawk….